Animal Crossing! Medabots! 1001 Spikes! Dragon Ball Z pre-load! More! It's the beginning of another week, which means we have Nintendo Download Update details for Europe to consider; this week brings 3DS retail treats, a long awaited download game across both systems and even Virtual Console options. On top of that there are more download-only games and discounts to consider, so let's get to it. 1001 Spikes (Nicalis, €14.99 / £13.49) — It finally arrives after a long wait in Europe, this is a fiendishly challenging platformer in which you have to grab a key and make it to the exit as the difficulty ramps up. This Wii U version features competitive and co-operative multiplayer; we gave this a strong recommendation in our Wii U 1001 Spikes review. 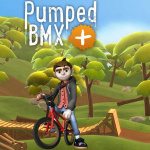 Pumped BMX+ (Curve Digital, €8.49 / £6.49 until 15th October, then €9.99 / £7.99) - Originally developed by Yeah Us! - a one-man indie studio - this is a title that draws much of its inspiration from that studio's smartphone title Pumped BMX 2. It challenges gamers to tackle a whole load of courses and pull off plenty of stunts - it looks rather like a blend of Joe Danger and Trials. We'll get working on a review but until then you can check out our hands on impressions. Toto Temple Deluxe (Juicy Beast Studio, €8.99 / £6.99) - A frantic local multiplayer game, in this one you take on three friends in a host of arenas and try to hang onto a goat while the others attempt to steal it. By the looks of it this one's manic and very colourful, and we'll check it out in a review. Race the Sun (Flippfly, €9.99 / £6.99) - Update - this release has now been pushed back to 8th October. With a behind-craft perspective, you fly through varied environments (which randomise daily) and try to avoid obstacles while keeping on track with the Sun. This one's certainly had some critical acclaim on previous versions and is one to watch. Medabots: Metabee & Rokusho (Natsume, €6.99 / £6.29) - Great news for Medabot fans as both versions of this Game Boy Advance release arrive, in which you customise your own Medabots and battle villains. We'll bring you a review as soon as we can. 1001 Spikes (Nicalis, €14.99 / £13.49) — As per the Wii U release above, though this version trades in on-the-go convenience with an absence of multiplayer modes. We gave a hearty recommendation to the 3DS version in our 1001 Spikes review. 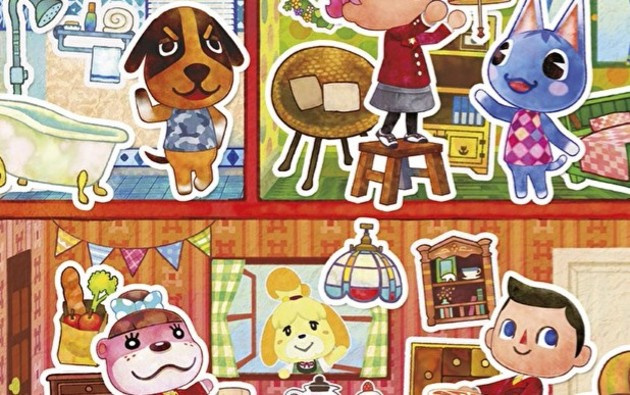 Animal Crossing: Happy Home Designer (Nintendo, €39.99 / £34.99) - This spin-off in the hugely popular franchise tasks you with designing properties and their interiors, along with some 'God-like' management abilities with the town. This game also brings the début of amiibo cards, though this download version does come with a free 'Office' HOME Theme. We enjoyed this one's charms despite some shortcomings, and gave it a recommendation in our Animal Crossing: Happy Home Designer review. Available from 2nd October. Dragon Ball Z: Extreme Butoden (Bandai Namco, €39.99 / £29.99) - There's been a demo for this one, but the game won't actually be available until 16th October; Nintendo is launching pre-purchases for this on 1st October, allowing you to download most of the game so that you're ready to play at launch. This comes with a download copy of SNES title Dragon Ball Z: Super Butoden 2 for your 3DS and a HOME theme, which will also arrive on 16th October. That's everything in this week's update for Europe. Let us know what you plan to download in the poll and comments below. Smash Bros. DLC on Wednesday. Hum, nice list I have to say . I will probably maybe buy Shin Megami Tenshi IV as it is disconnected now and I will check out the Medabots games and maybe buy one of them :+). Hmm, a good week it seems. "1001 Spikes" and "Race the Sun" for me, will wait reviews on "Pumped BMX+". Nothing there to make me change my plans. I've been ploughing through my backlog well recently so I'm trying to be more fussy with what I buy( and I'm skint!!). I still have shovel knight and a few others to buy yet too! I'm us and just got the pikachu themes for my N3DS hope to get the AC theme soonish! I just realised that Animal Crossing will look really good in Paper Mario style. I wish Atlus would discount some of their other RPGs. At last, 1001 Spikes! One word, NEED! Though the £13.49 price tag is a little on the steep side – especially when the likes of Cave Story (£6.00) and SteamWorld Dig (£6.99) are considerably less expensive. That being said, I'll still be grabbing come Thursday! It's interesting to see the big difference between HappyHomeDesigner of Europe and North America. It must be because of the New 3DS (that was my reason to vote), but it might just be due to the lack of sample size. I should wait until more votes come in before constructing a conclusion. The day finally arrived! At the worst time however I have no time in my schedule for an extra game... Maybe I'll buy it only for support the serie with the naive hope they'll consider in future to release in the west the most recent titles for 3DS. Aaand more Senran Kagura 2 DLC! Hipster was awful, so I hope this pack holds up better. Also, gotta pre-order Dragon Ball Z. Best DB fighter since the Budokai games! Is Persona Q ever going to be discounted? A decent list of new releases, but I'm bored of the rotation of discounts never seeming to move onto games I actually want and am waiting to be discounted. Bought Mario Maker yesterday. I'm good for a while. @GLA I know right? Never seen a discount on Mario Kart 8 or Zelda LBW. Race the Sun was a nice little distraction when I got it through PS+ on Vita, but there is noway I'd pay that price for it. 1001 Spikes looks fun, but not £13.49 fun. And the amount of time Nicalis have taken getting it published here is quite frankly ridiculous. While I have every intention of getting 1001 Spikes, given that I don't have much time to play and a few other Wii U games in backlog in addition to Super Mario Maker, I'll see if there'll be a discount by the time I buy it. 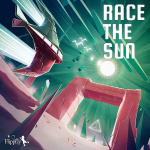 Race the Sun I got on PC and thought it was a fun simple game. Lego Dimensions? I guess this doesn't have a download release because of the portal? Does anyone know if DBZ: Extreme Butoden US eShop digital version comes with the download copy of SNES title Dragon Ball Z: Super Butoden 2 too? I know it's Amazon exclusive (physical release) but I'm not sure about the digital version. @ederenzi78 The bugs in 1001 Spikes were all patched, and off-TV was added as well. Personally I think 1001 Spikes is one of the absolute greatest platformers ever and I can't recommend it highly enough. Thanks for the reply. Do you know something about the 3DS or Vita version? On gamefaqs there are no posts stating that 3DS bugs were solved. Those same bloody 3DS games on offer, it's driving me mental! And where's Sonic 2!? @ederenzi78 3DS version was patched but I don't know about the Vita version. Oh yeah, and the patch also included added music tracks for more variety, particularly on Antarctica. Does the DBZ EB offer apply for NA as well? I really want to play that SNES game. Still no SNES games sniff sniff. Mostly rubbish as per usual. Nothing of interest for me again this week. I might like to play HHD at some point, but I wouldn't pay anywhere near full retail price for it. @Moon I guess that means NA won't be seeing Sonic 2 as well. @Moon @Superryanworld October 8th I think. @ULTRA-64 Thanks for the info. Does Toto temple deluxe support off tv play? Because if does I'll pick it up! If doesn't I'll give it a miss!